Tangerine offers professional cuts, unique color ideas, quality hair extensions and advanced chemical treatments. Our stylists have years of experience and continue to educate themselves in current fashion trends. Tangerine is open 6 days a week. colors or fragrances of any kind. We do recommend that you call ahead. Our stylists are independent contractors whose hours vary. 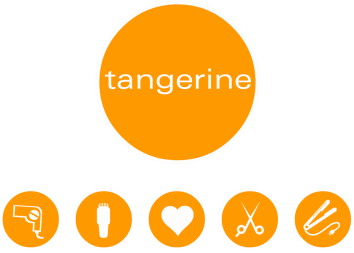 Tangerine Salon is located in beautiful Belmont Shore on Argonne Ave and 2nd St. right behind Sweet Jill's and directly across from Perfect Brows. There are 8 metered spots in front of the salon and plenty of free street parking. Since we set aside our time for you, we ask that you give us 24 hour notice on all cancellations. Thank You Kindly.